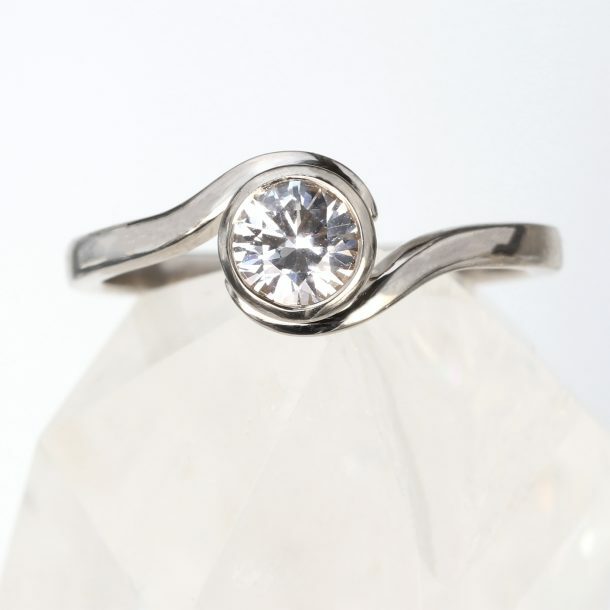 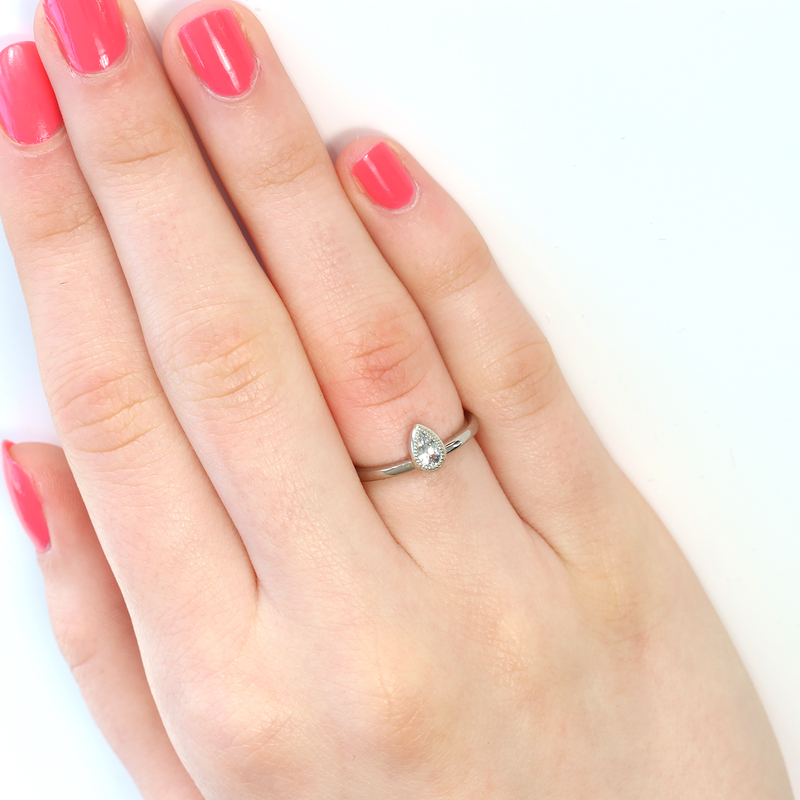 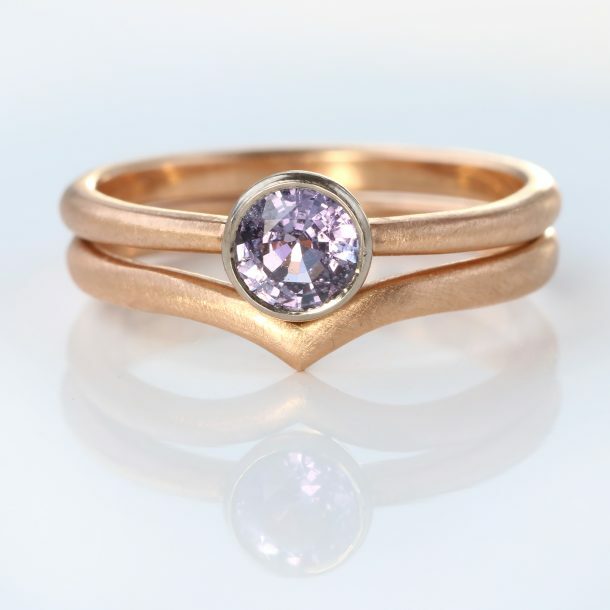 Ethical sapphire engagement rings by Lilia Nash are available in 18ct gold, rose gold, white gold and platinum. 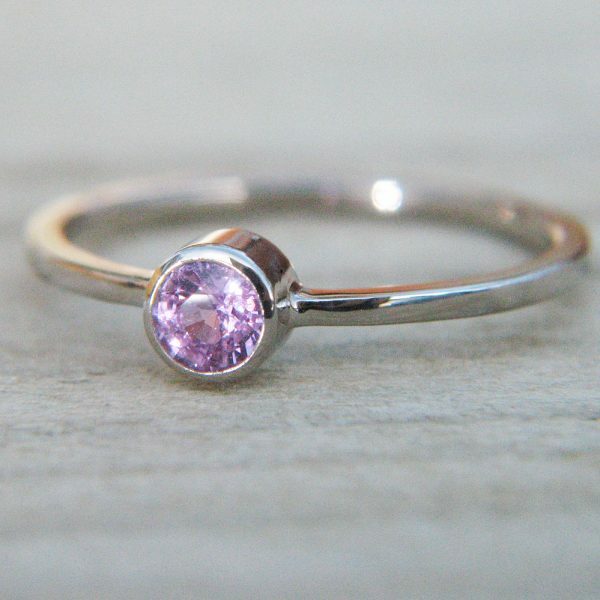 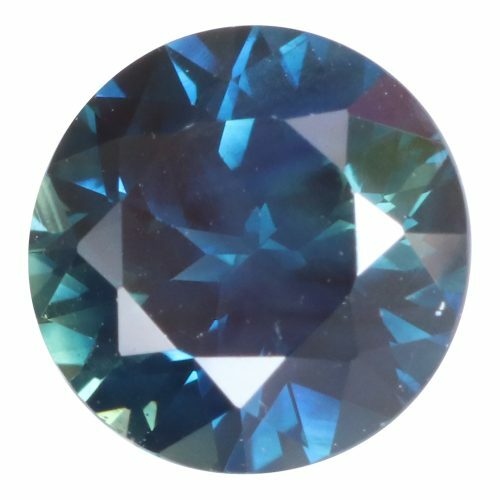 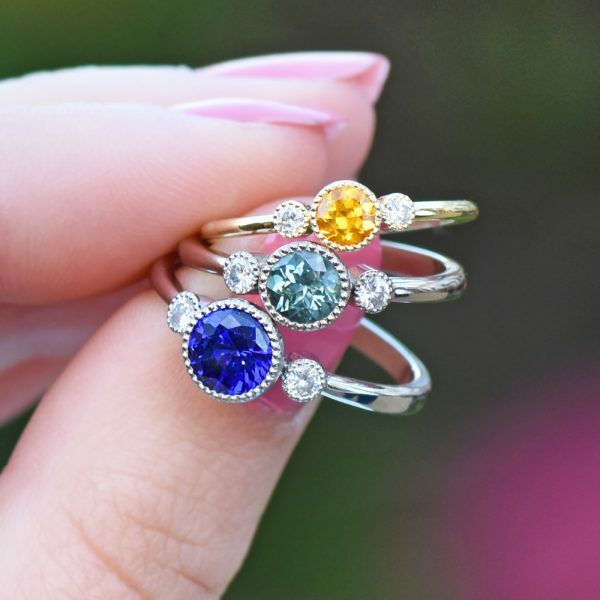 Choose between lab grown or fair trade sapphire gemstones, with a range of colours including blue, pink, white, yellow and purple. 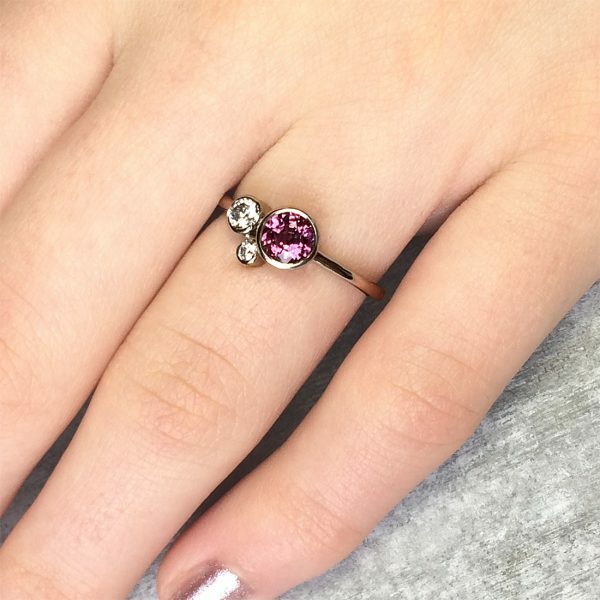 Looking for something extra special? 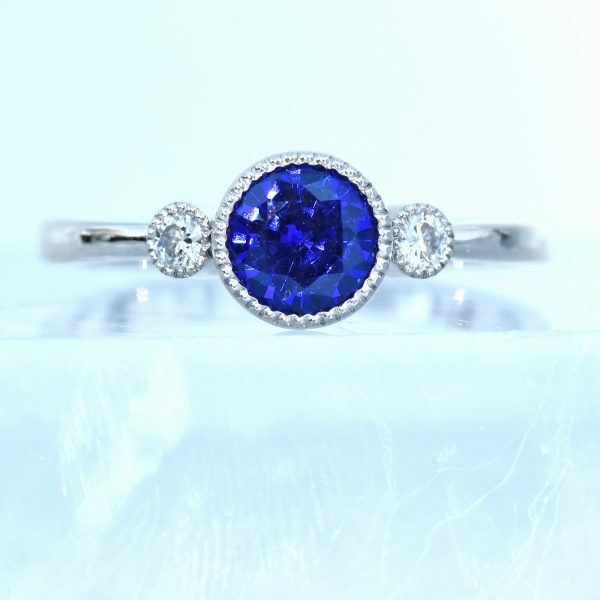 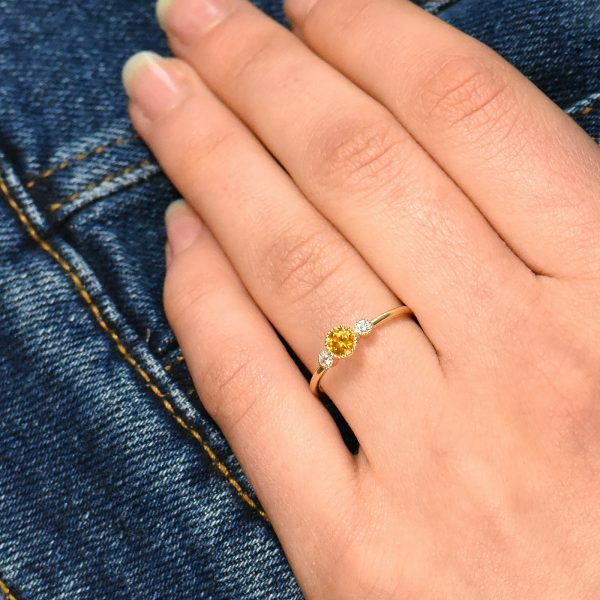 Create your own bespoke sapphire engagement ring. 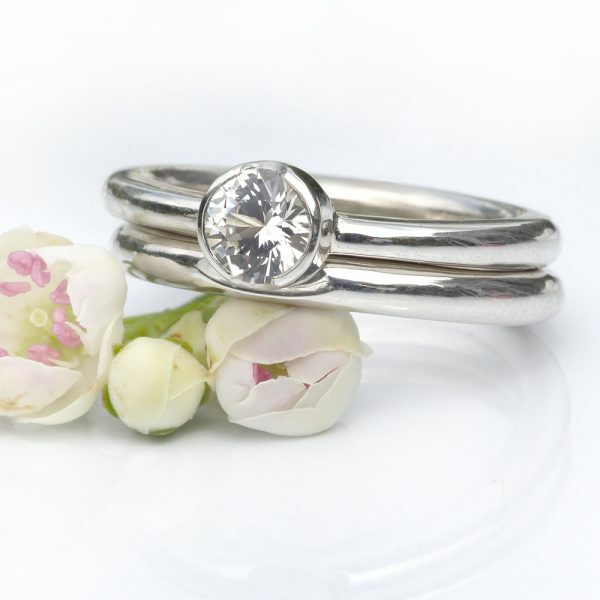 with our jewellery design service. 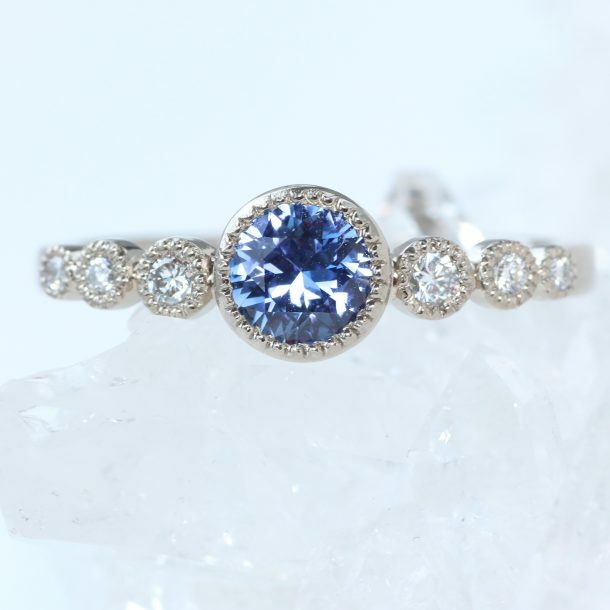 Sapphire engagement rings have been gaining popularity in place of traditional diamonds. 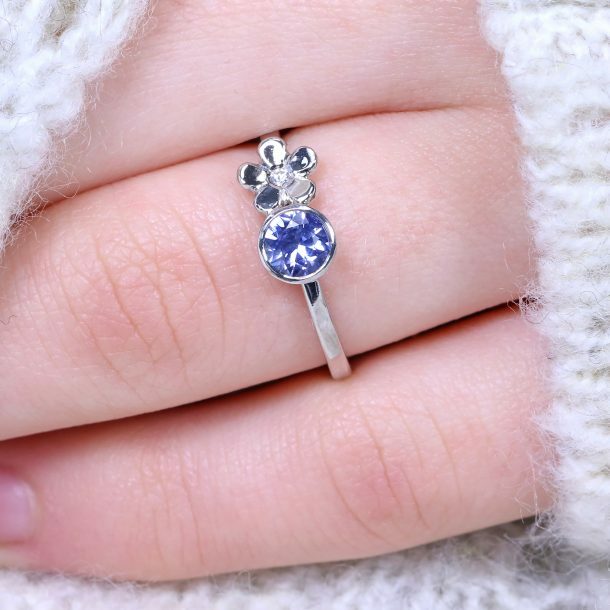 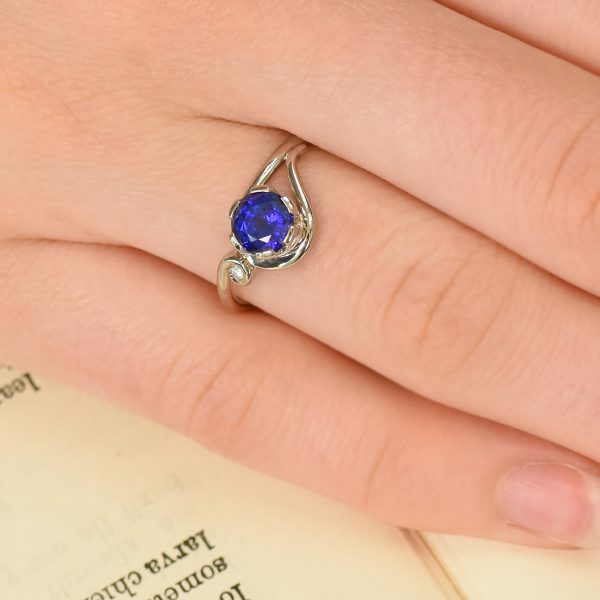 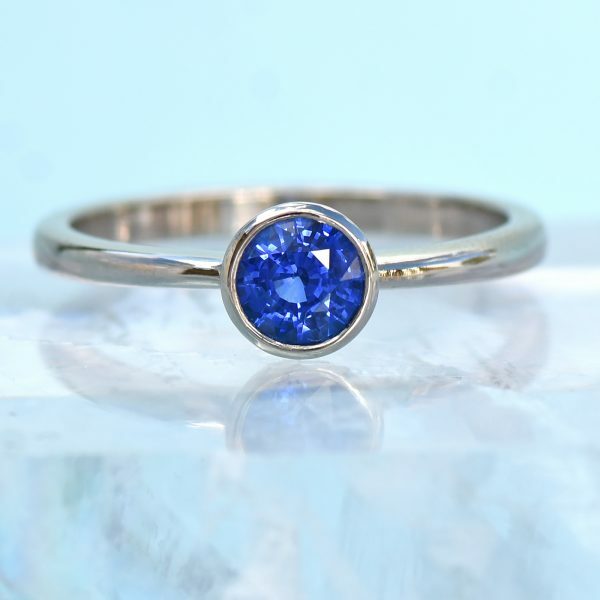 The British royal family are well known for their love of sapphire engagement rings, with Diana Princess of Wales, the Duchess of Cambridge (Kate Middleton) and Princess Eugenie among the members wearing a sparkling sapphire on their ring finger. 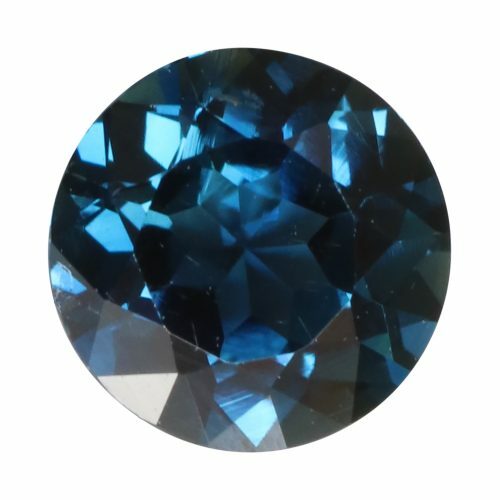 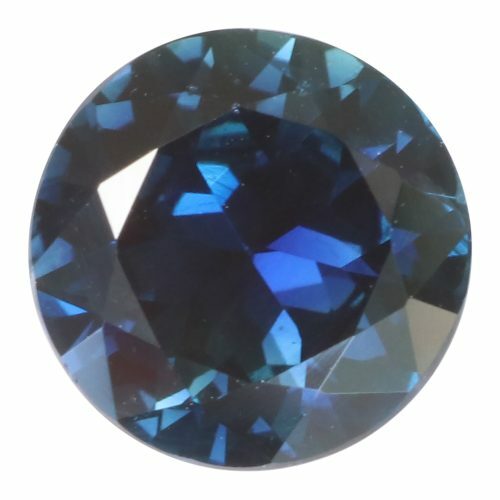 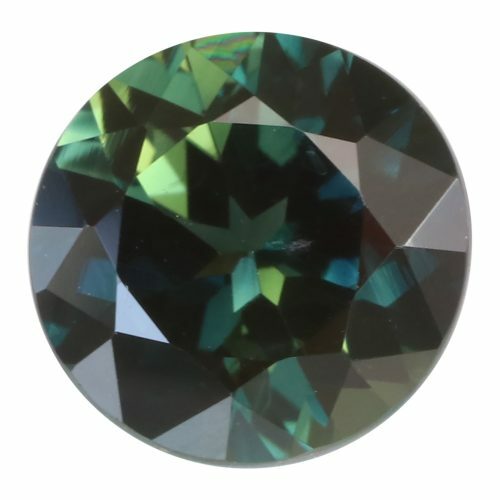 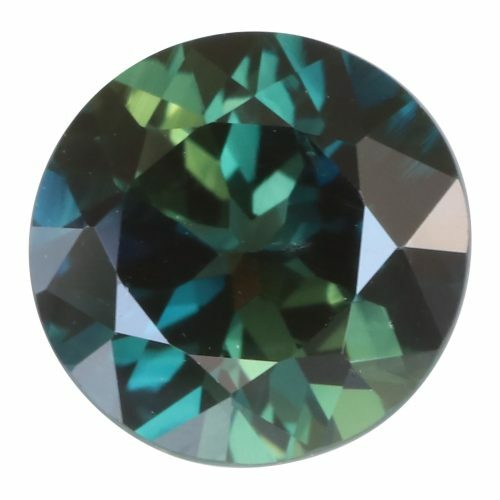 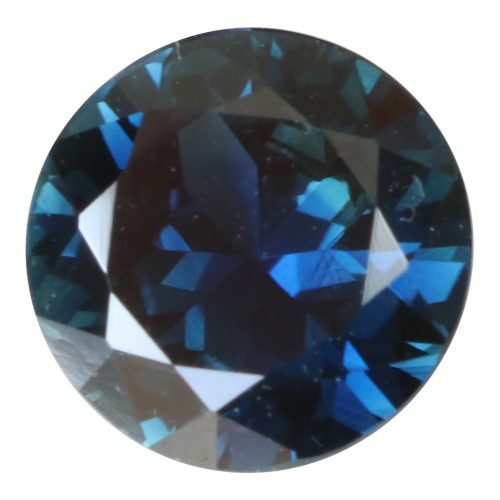 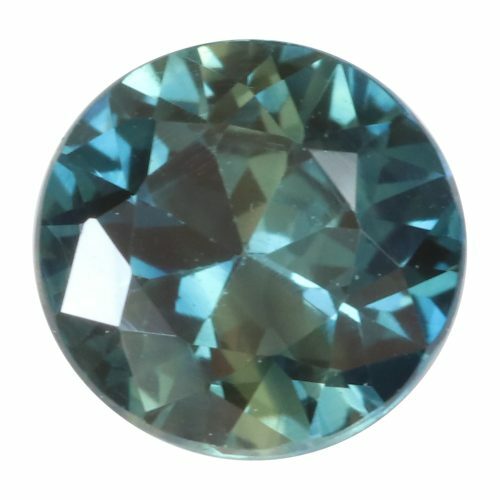 Sapphires are best known for being blue, but they can come in almost any colour - except for red! 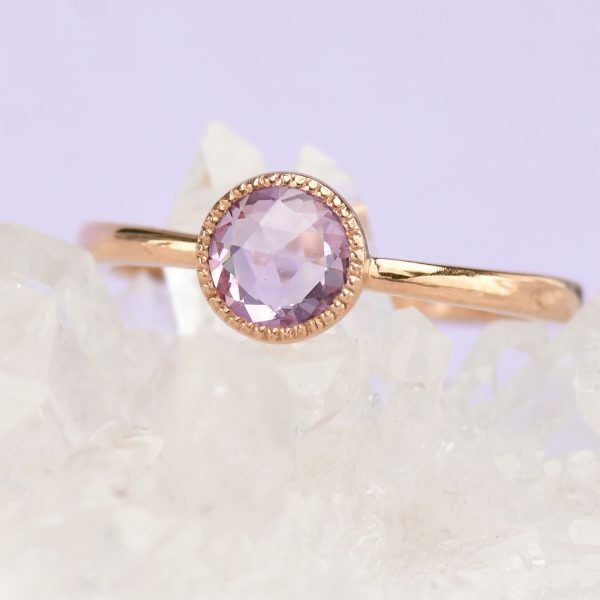 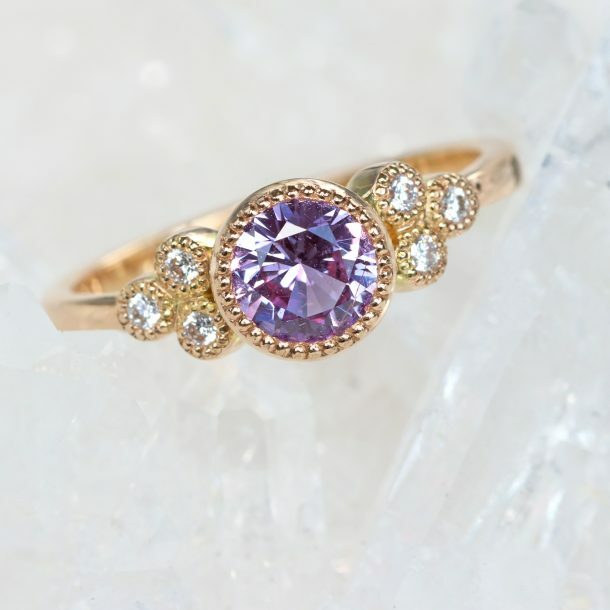 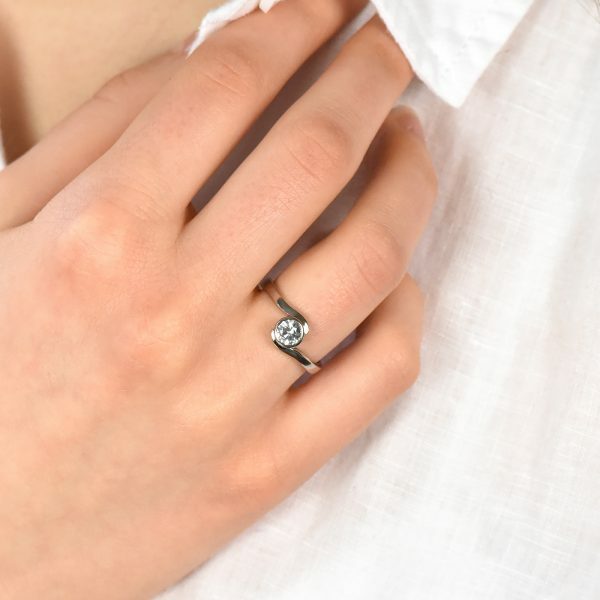 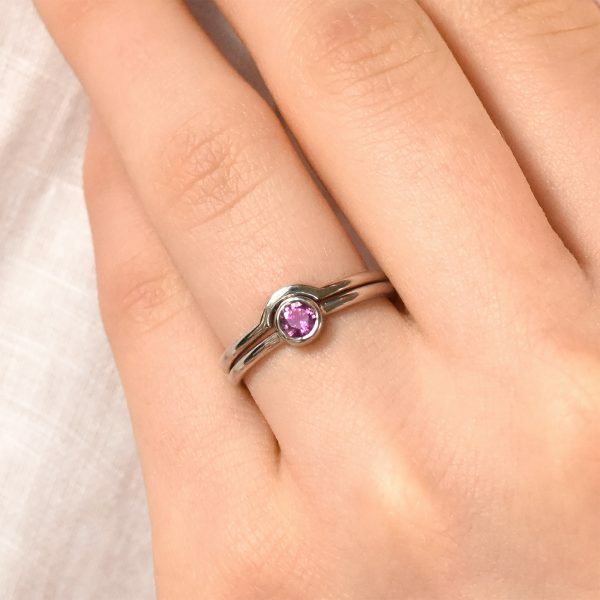 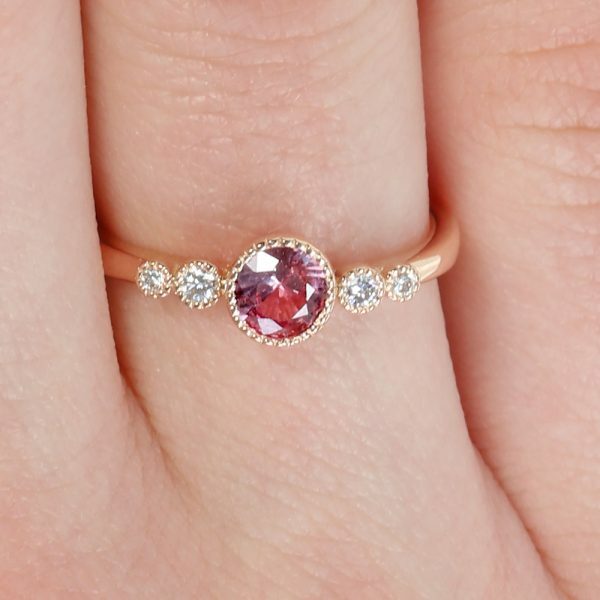 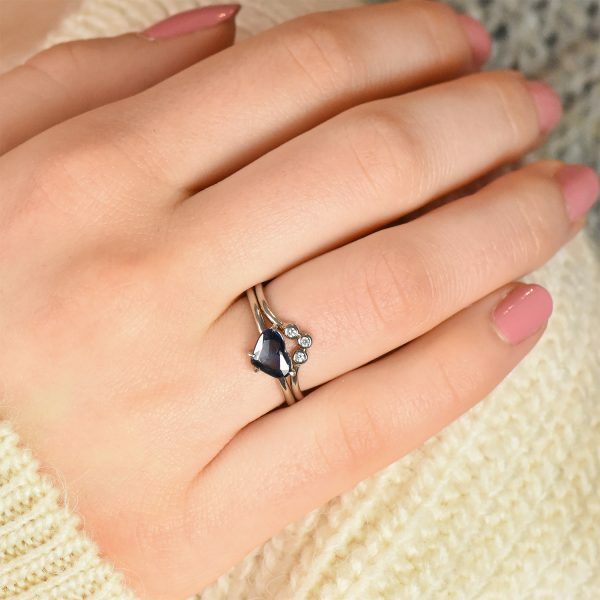 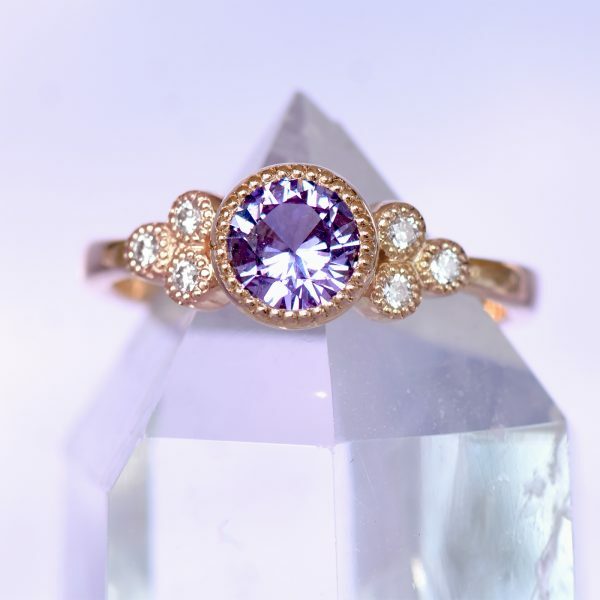 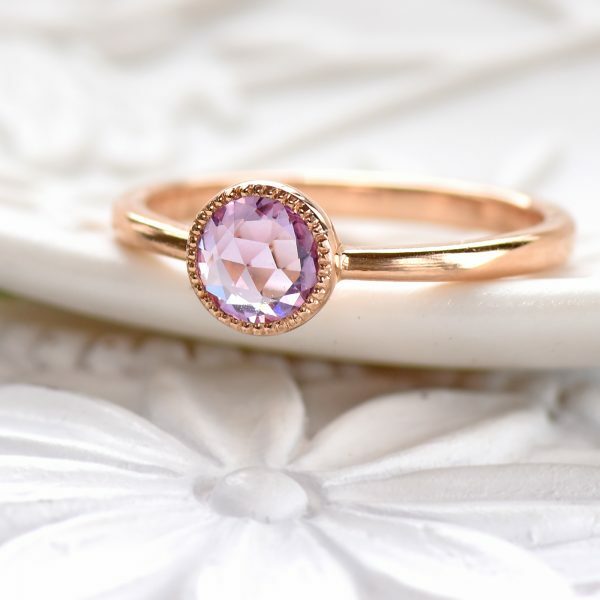 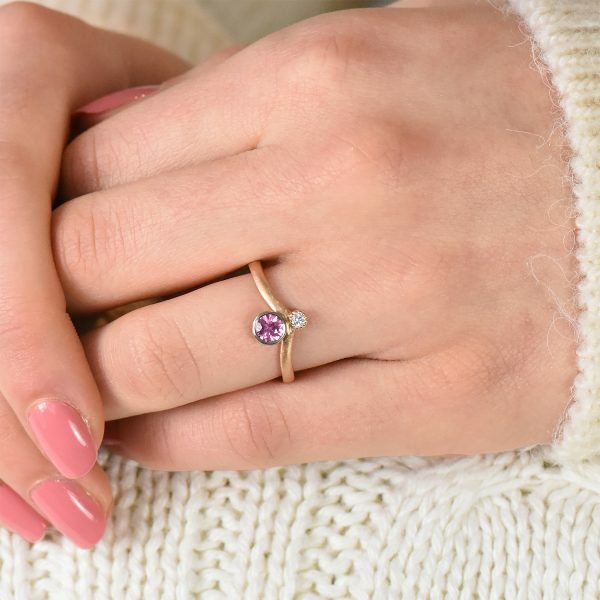 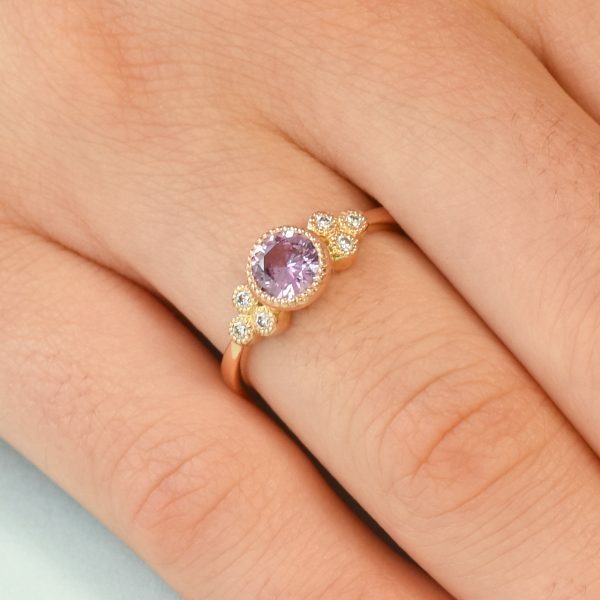 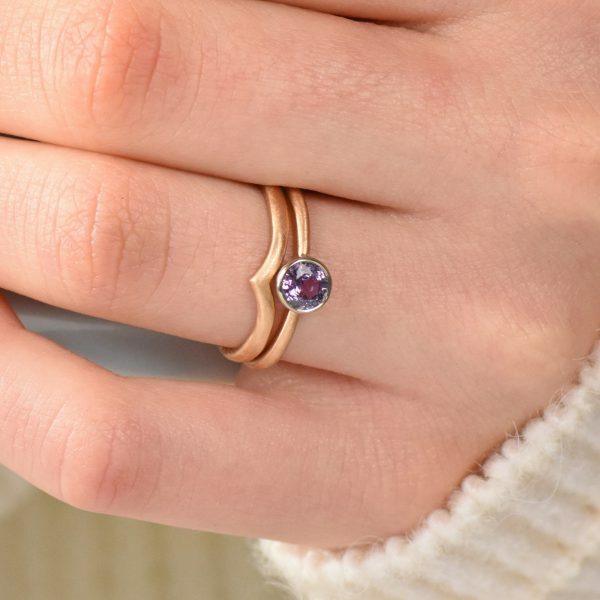 Lilia Nash ethical sapphire engagement rings include a rainbow of colours, from crisp white and honey yellow through to violet purple and blushing pink. 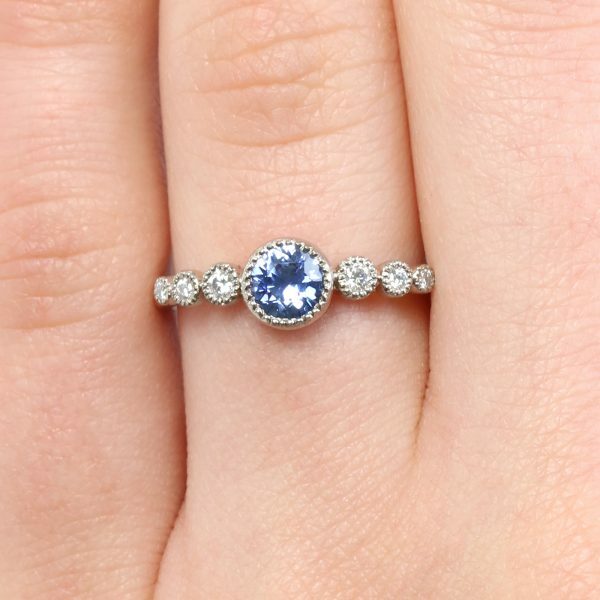 Choose between fair trade sapphires or ethical Chatham sapphires, set as a solitaire stone or with conflict-free diamond side stones. 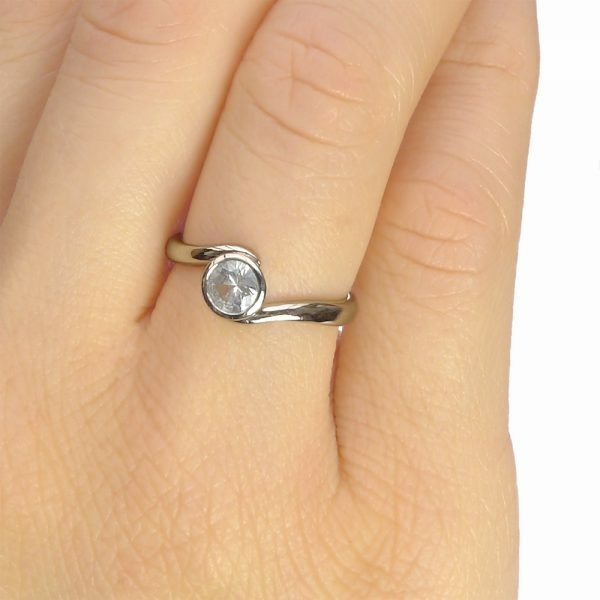 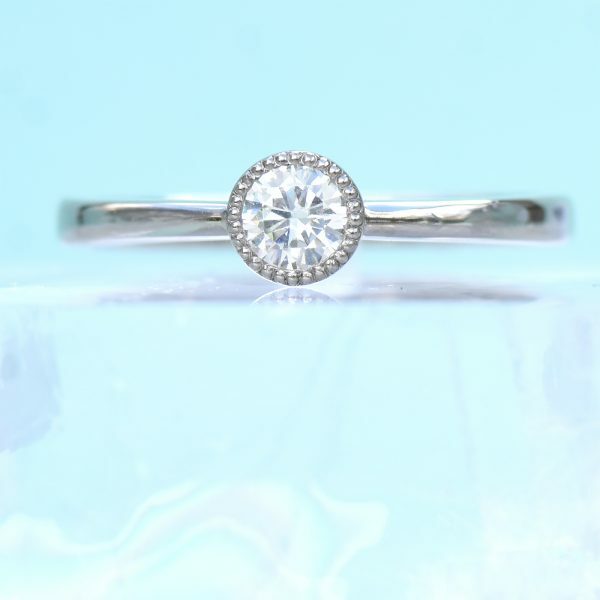 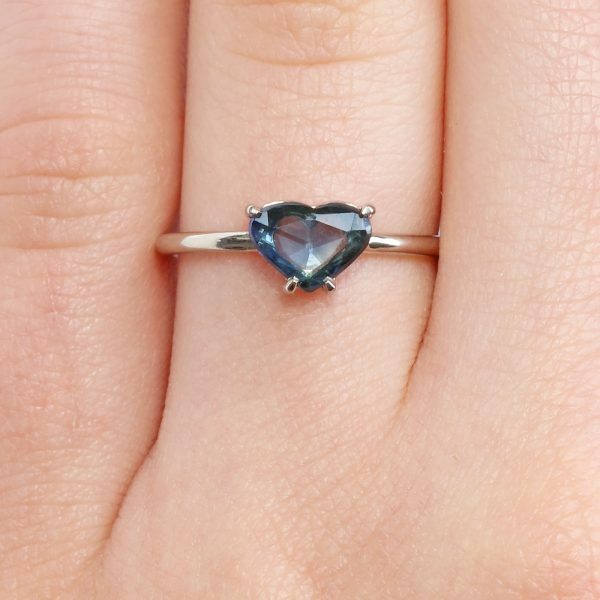 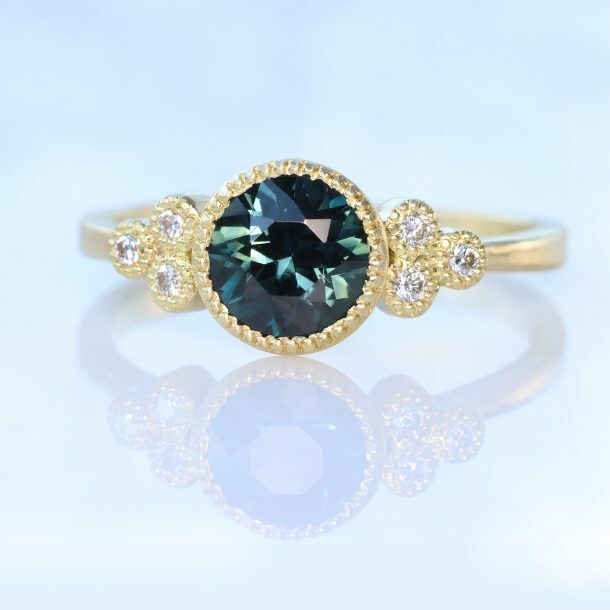 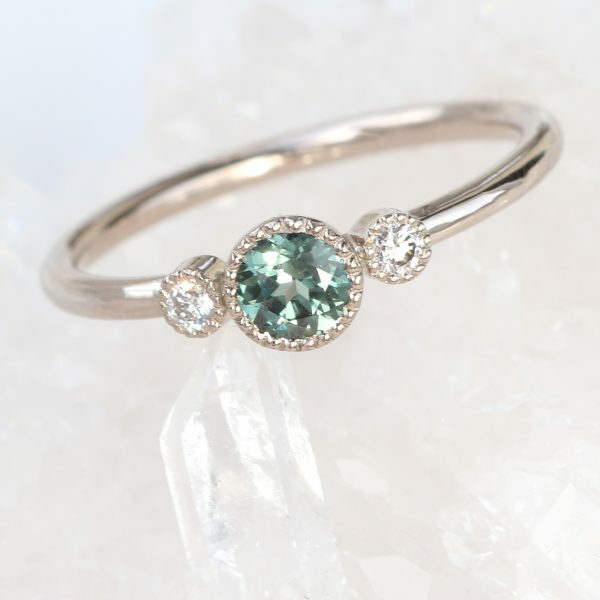 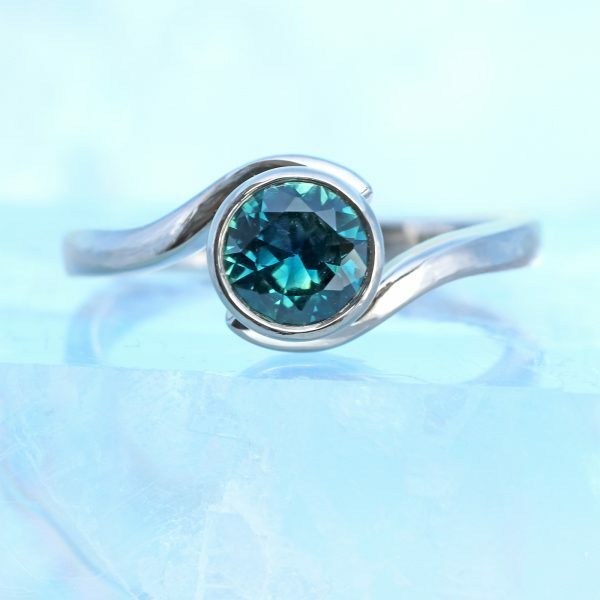 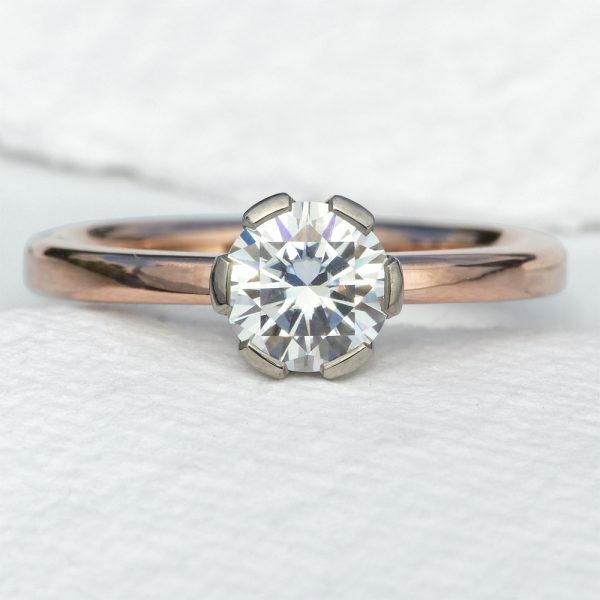 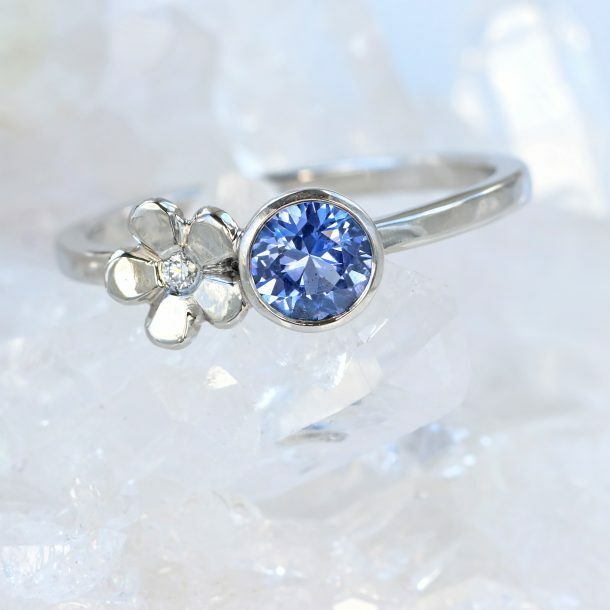 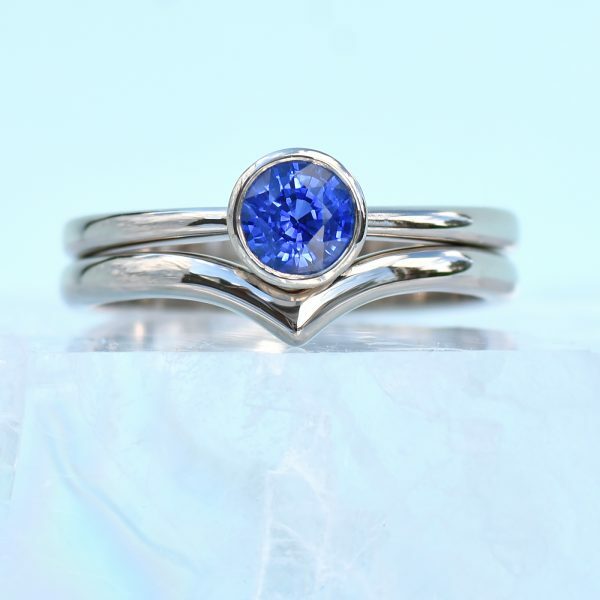 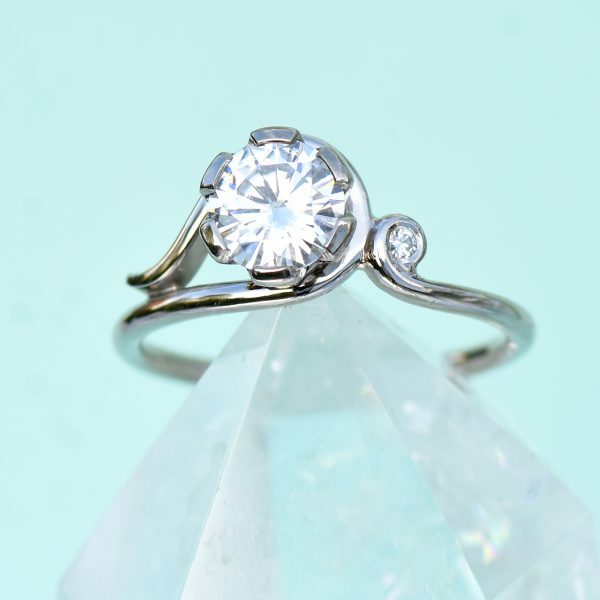 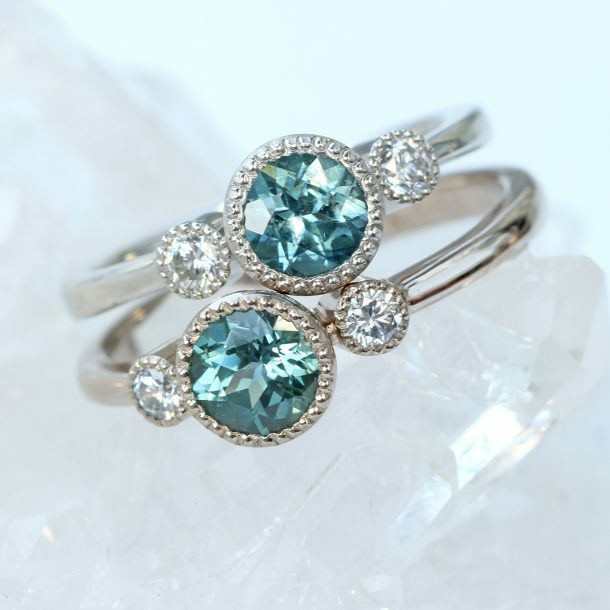 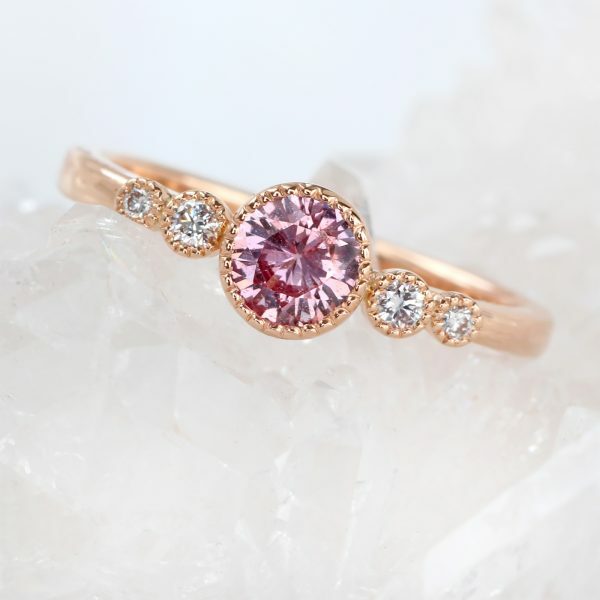 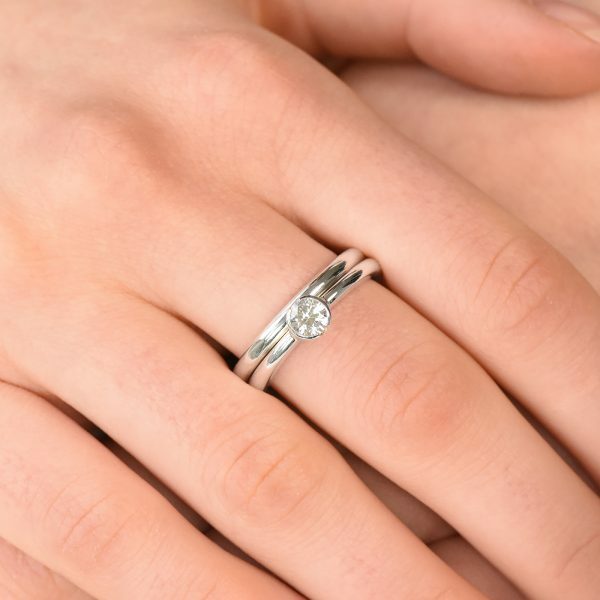 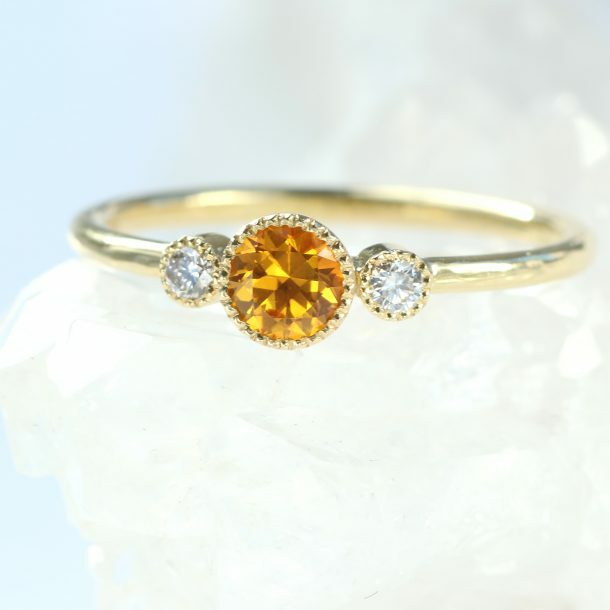 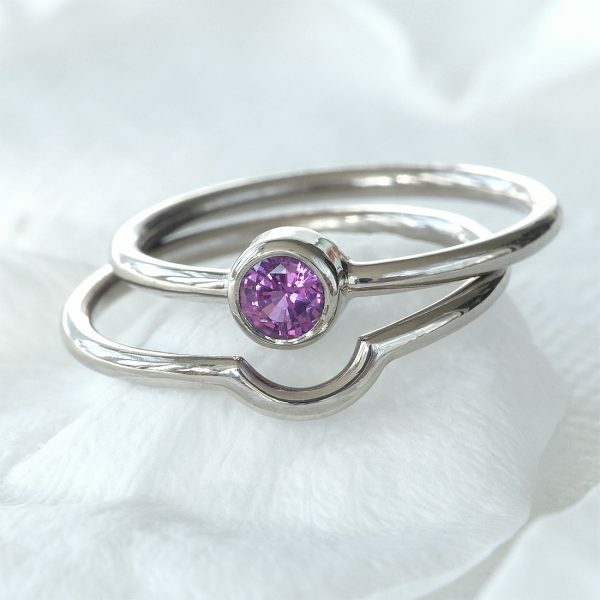 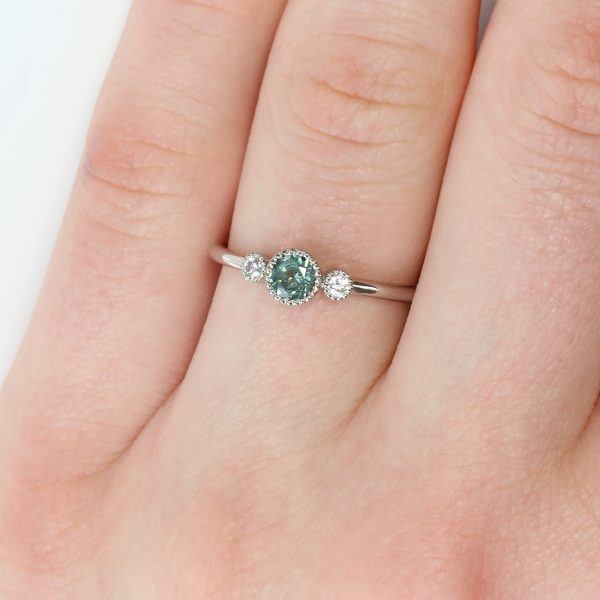 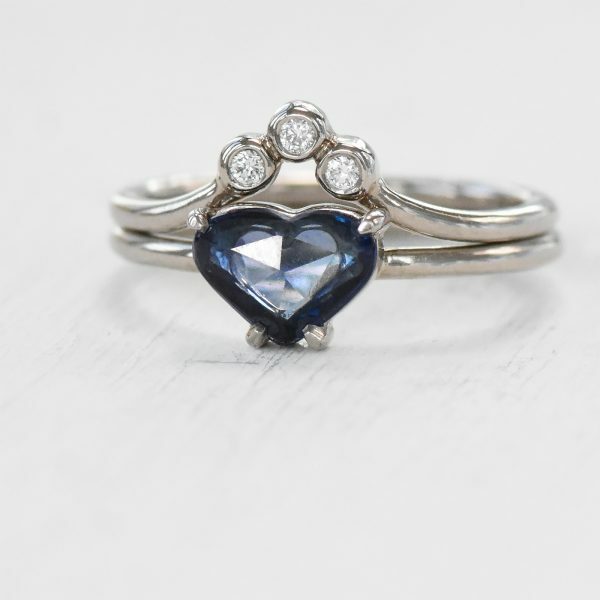 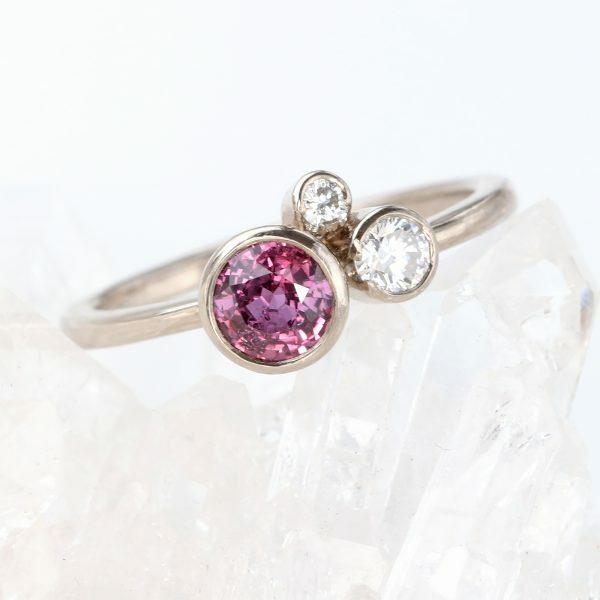 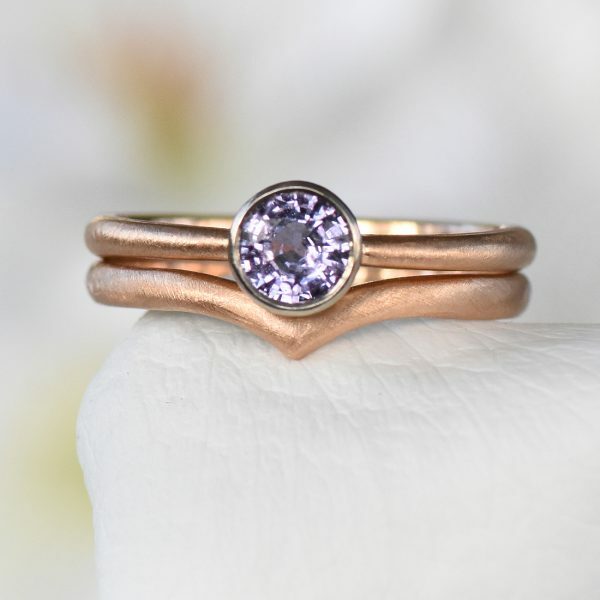 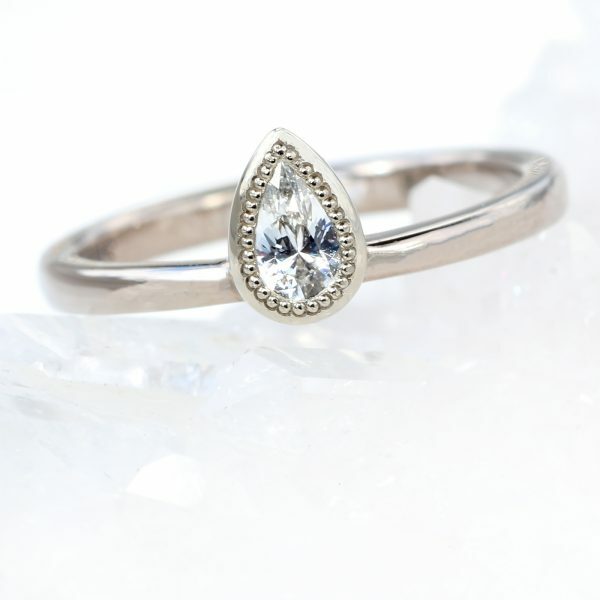 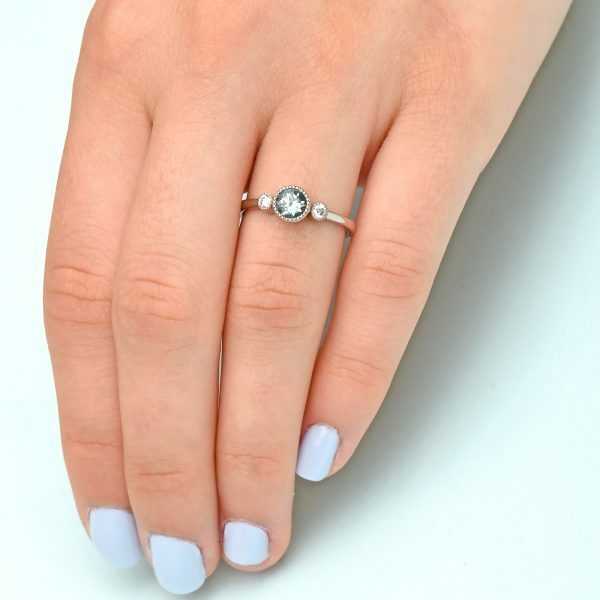 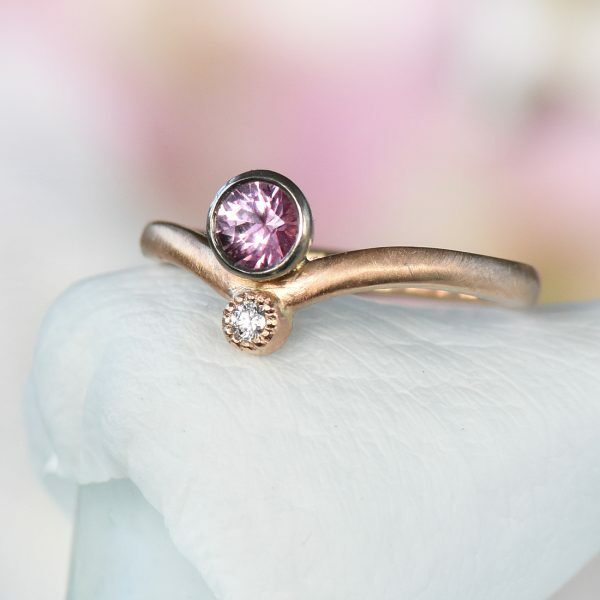 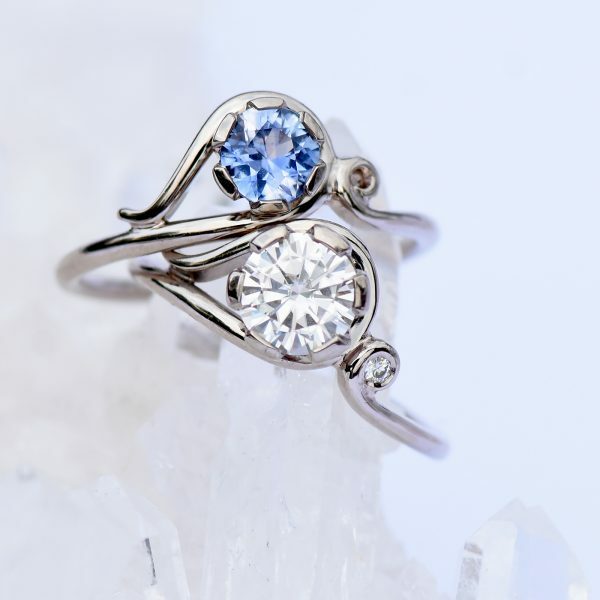 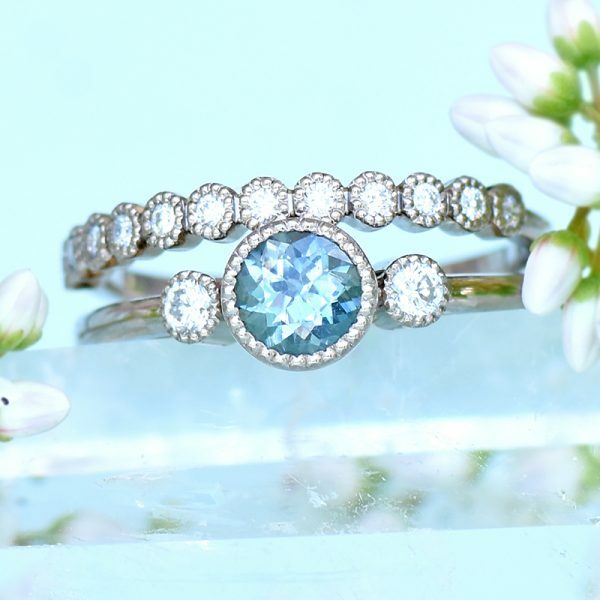 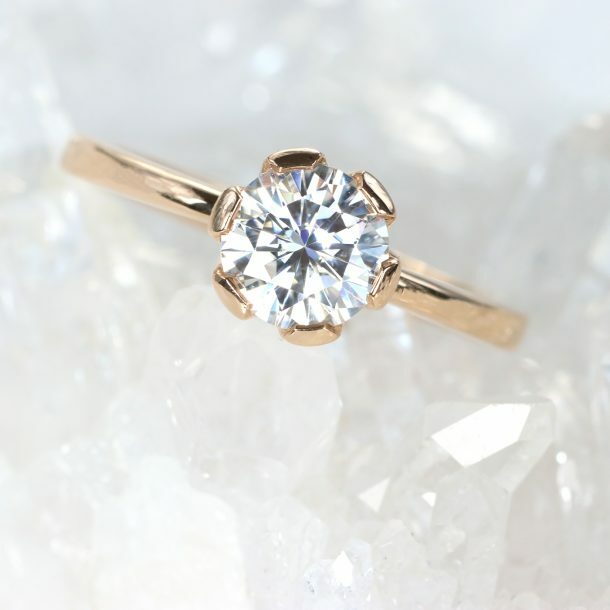 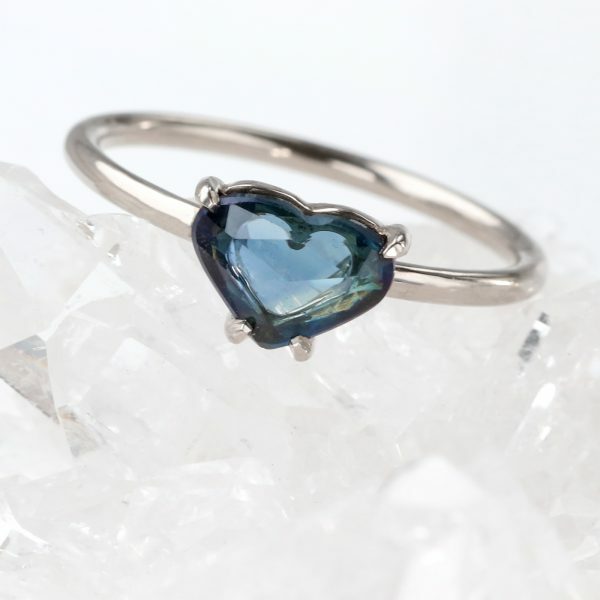 Lilia Nash specialises in the creation of unique sapphire engagement rings, with a variety of designs available in her made to order shop. 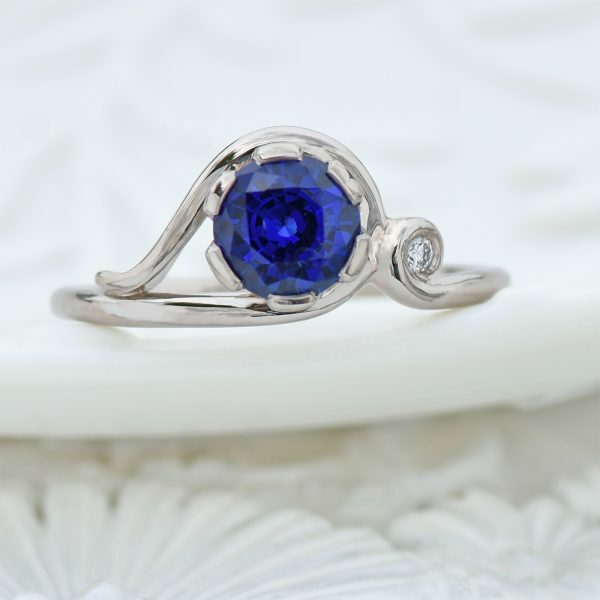 If you're looking for something special, contact us about her bespoke sapphire engagement ring design service. 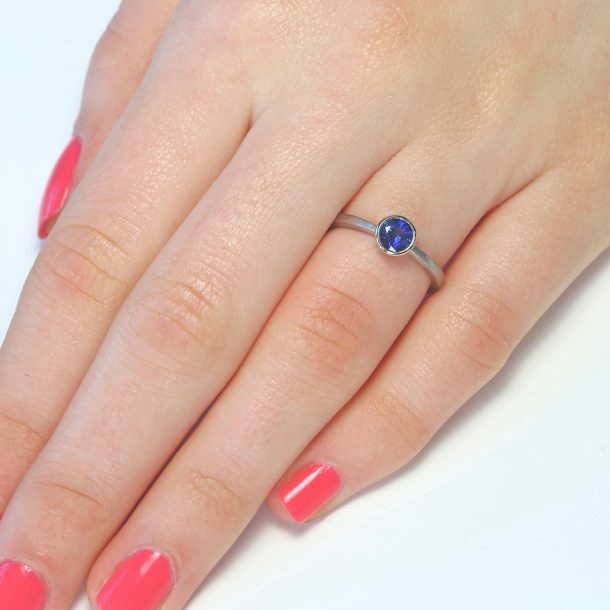 Lilia will source the perfect statement sapphire for your ring, set in 18ct gold, rose gold, white gold or platinum.